Bill Clinton’s brother was arrested for drunk driving and disturbing the peace. Hillary Clinton’s brother was paid $400,000 in exchange for getting people pardoned. Jimmy Carter’s brother was a registered foreign agent of the Libyan government and urinated in public at the Atlanta airport. 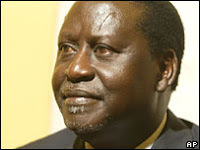 Barack Obama’s cousin Raila Odinga is charged with ethnic cleansing by Kenyan officials. President Mwai Kibaki was declared the winner of the 27 December poll, but the results were rejected by the opposition and called into question by international observers. More than 600 people have died in unrest since, and another quarter of a million have been driven from their homes. In an interview last week with the BBC’s HARDtalk programme, Ms Karua said the government had suspected that Mr Raila Odinga’s ODM party was “planning mayhem if they lost”. But she said they had not expected “the magnitude [of the violence] and for it to be ethnic cleansing”. Odinga says Barack Obama has been closely following the election. So far at least 600 have died in the election violence in Kenya. 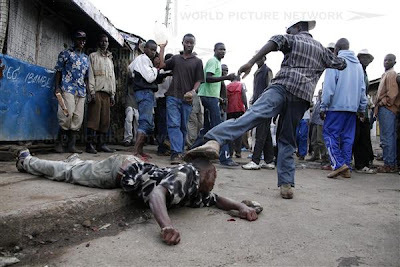 UPDATE: Rioting– 7 Dead in Kenya. More… Jules Crittenden lists further embarrassments. Confederate Yankee has more thoughts on family politics.